WHAT IS THE BLUE WHALE? The largest animal known to have existed in the entire history of our planet, for one. Though difficult to gauge because of their monolithic size, Blue Whales are estimated to weigh up to 190 metric tons (or 210 short tons) and range up to 110 feet in length. Part of the suborder of baleen whales, their diet consists almost exclusively of the tiny crustaceans known as krill, eating up to 40 million (or around 7,900 pounds) in one day. 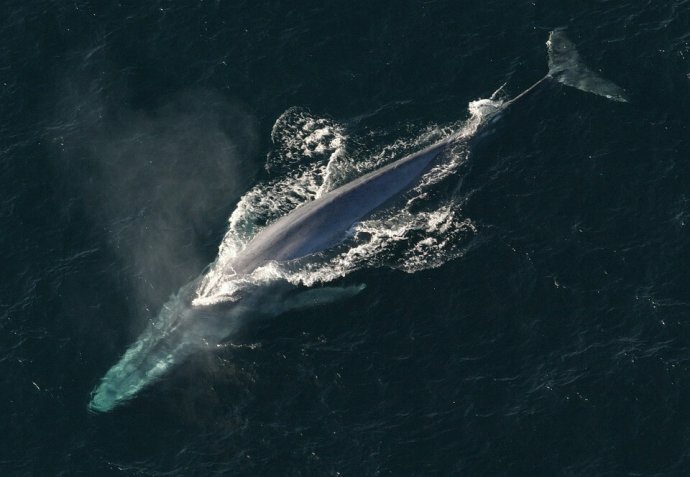 Bluish grey on top, with a lighter underbelly, the Blue Whale body seems long and skinny compared to baleen cousins such as Humpback Whales, Bryde’s Whales, and Minke Whales. They have a flat, u-shaped head, and can travel at speeds up to 31 mph over short bursts. But they tend to travel solo or in pairs, rather than pods. The Blue Whale was ubiquitous in nearly every ocean on the planet until the early 1900s, with an estimated population of over 200,000 in Antarctica alone. But during the century of whaling’s heyday they were hunted nearly to extinction before ultimately getting international protection from the International Whaling Commission in 1966. Even with protection, their global numbers were estimated to be between 5,000 and 12,000 total in 2002, with five major groups in various oceans around the world. 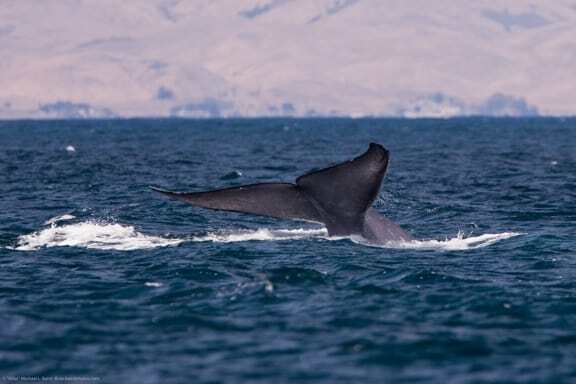 In addition to illegal whaling, other threats to the species include collisions with ocean vessels, getting entangled in fishing nets, and the impact of climate change on their krill food supply. WHAT’S BEING DONE TO SAVE BLUE WHALES? Fortunately, the Blue Whale is gradually starting to see its numbers take a turn for the better. In addition to being on the IUCN Red List, the United States National Marine Fisheries Service currently lists them under the Endangered Species Act, ensuring their protection under law. Additionally, animals rights activists such as the Sea Shepherd Conservation Society serve as watchdogs for the species. Along with NGOs like Save The Whales, they help fund conservation efforts and confront illegal whaling activities head-on via direct action.